I don’t tend to look for new products in the cordials section of the supermarket, in fact I was only in the aisle so that I could top up on orange and lemon squash, very rock and roll. Anyway as you may well imagine from reading this blog I’m attracted to anything new, and frankly shiny, so this bottle caught my eye. It is very different looking to the other squash bottles in the section, which are all in clear plastic, this is metallic and appears to have a very funky top and it is from a French make, Teisseire, that I’m not completely sure how to pronounce. The flavour is firstly listed in French (frambroise) but the English translation underneath shows the meaning to be Raspberry and Cranberry and that sounded like a nice alternative drink, and the cranberry makes it seasonal too. 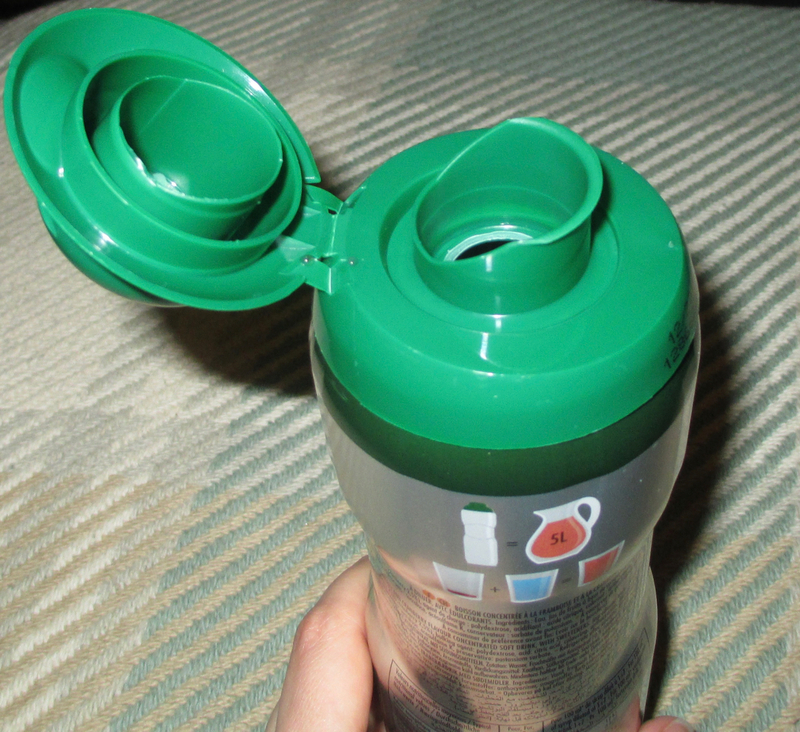 The lid is chunky, but opened easily, and made the drink easy to pour. I added a good slug of it into a cup and topped up with water, and was pleased with the flavour ratio. The taste was very fruity and the cranberry was at the forefront, with a nice hit of raspberry softening the aftertaste. IT is very easy to drink, and I loved the sweet berry flavours. I think you could add a sprig of mint to glasses and happily serve this as a mocktail type of drink at Christmas party. It is also a nice alternative to the usual squashes, and reminder for me not to be on autopilot picking up orange each week. I can’t wait to go back and see what other flavours this posh make does.